Gung Ho is a skill game on bestgames.pk. You are a boss of a factory in the game. You have employed many workers to create productivity for you. But some workers are very lazy and often sleep during work. It is very dangerous and will greatly affect the production of the factory. So you have a good idea and set a signal alarm beside each worker. Once you see which worker is sleep or is napping, you can click on the control panel to wake them up to maintain productivity. The production line is so long, so you must watch the entire production. As levels up, there will be more and more workers sleeping in the work. Once the production level decreases to 60%, the game is over. To be the boss now. 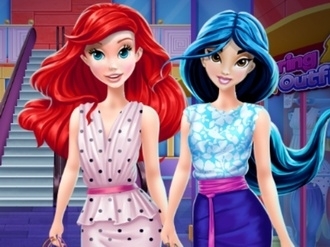 Join our beautiful princesses in their shopping day at the mall.After they seen all the shops from the mall they decided to buy some beautiful dresses,shoes and hand bags from two specific shops.Join the first princess to the shop that she choosed and help her pick the perfect clothes and they you can go with the second princess in her favorite shop from the mall and help her.Have fun playing Princesses Shopping Spree. 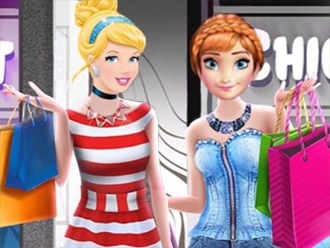 Rapunzel is pregnant and she must wardrobe more frequently than before.You can join Rapunzel at shopping and help her buy some beautiful dresses and jewels.Have fun shopping with Rapunzel.